Charlotte climbs high during a coaching workshop on the Côte de la Forclaz. Mike enjoys a classic hairpin on the Col de la Croix descent into Les Diablerets. Tom must know more about the Swiss Alps than your average Gruyere cow. Fantastic host – couldn’t have handled us better! Thanks so much! The location is awesome I am completely in awe of the Swiss Alps every time I go there. Cycling in the Alps is both challenging and rewarding in equal measure. Our Challenge Rating system is designed to be your guide to cycling in the Alps on a Brevet holiday, it’s here to guide you in selecting an Alpine cycling holiday that will stretch you and motivate you to get in shape before your Alpine Cycling Adventure with Brevet. What’s a “Hors Category” climb? Wikipedia: Hors catégorie is a French term used in cycle races (most notably, the Tour de France) to designate a climb that is “beyond categorization”, an incredibly tough climb. Most climbs in cycling are designated from Category 1 (hardest) to Category 4 (easiest), based on both steepness and length. A climb that is harder than Category 1 is designated as hors catégorie. Brevet cycling holidays will often feature a Hors Catégorie climb during the week and the more challenging ✭✭✭✭ and ✭✭✭✭✭ holidays will have multiple big climbs in one day. More often you’ll be climbing Category 1 or 2 climbs with gradual gradients between 4-6% that allow you to get into a rythym and take in the stunning Alpine scenery. We can run a climbing and descending workshops on request to allow riders to learn the best techniques and to share hints and tips within the group. We’ll also discuss how we’ll work as a group during your holiday so that each individual gets the support and freedom they need. If you have any concerns at all then check out our FAQ’s section which goes into more detail on the type of riding you’ll encounter and if you have a question don’t hesitate to get in touch. Clearly you need to be fit to get the most of the holiday and cycling in the Alps is much more rewarding when you see your pre holiday training pay off as you climb Alpine cols and surpass your expectations. 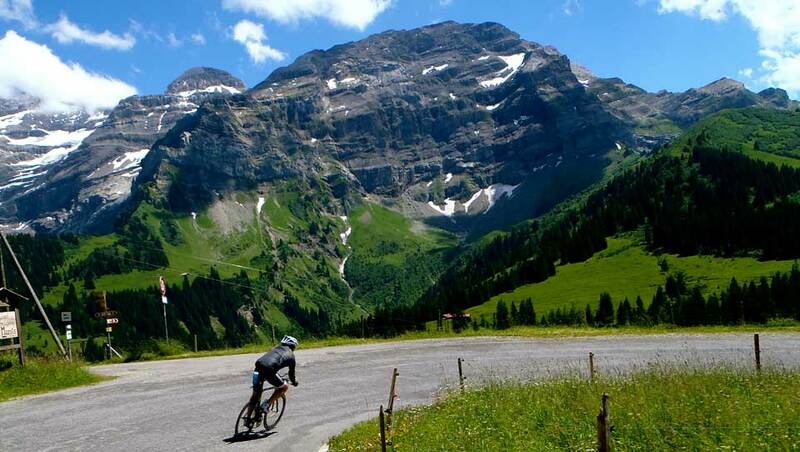 Our cycling holidays are designed to be challenging Alpine Cycling Adventures. Our professional guiding and vehicle support as well as our route design and hotel selection are all aimed at creating a supportive environment that will get the best out of you as an individual. Therefore each cycling holiday is designed to be suitable for varying fitness levels. Within the group people will have different strengths and weakness, some will love hill climbing but might be slower on the flat sections where you might be stronger. 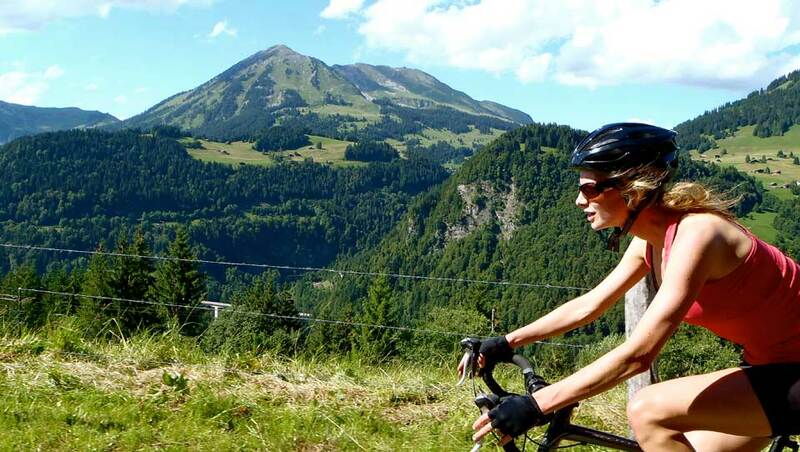 However one of the many benefits of an Alpine Cycling Adventure is that you will get fitter as the week progresses. Following a training schedule consistently will help. Our aim is that you return home fitter, happier and in love with your sport.